OVH is an established cloud computing company that offers VPS, dedicated servers and other web services. OHV Dedicated Servers module for HostBill lets you start reselling OVH Dedicated servers with fully featured end-client interface. The client area is packed with useful functionalities to allow your clients reboot or reinstall servers, manage SSH Keys and server IPs and display OS and hardware information and server resources usage. It's up to you which client area functions are enabled. The admin panel not only lets you control client area function but also grants easy access to billing information and account management options. 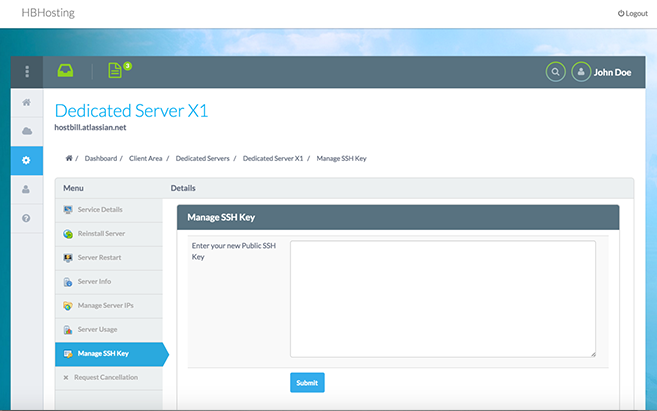 The admin panel also provides the ability to connect HostBill account with existing OVH server and renew server when needed.